Get first chance to purchase our new releases, before they are gone! 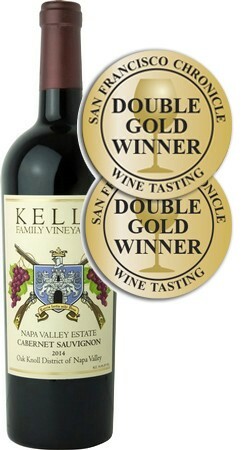 The Kelly Family has a long and storied history, both across the seas and in the Napa Valley. Get KFV Newsletter, Invitations to Special Events, Exclusive Releases and Reserve Wine Allocation. "Growing and serving in California’s Garden of Eden… the Napa Valley." Bright garnet in the glass. The nose approaches you with flavors of lavender, vanilla, ripe blackberries, caramel apples and a hint of smoked bacon. the wine is elegantly feminine, with long well—integrated tannins and a soft, silk-like mouthfeel. Flavors of blueberries, dark chocolate, cassis, and pink peppercorns lie underneath a top floral layer of roses and key lime blossoms. The finish is lengthy but refined and focused and leaves you smiling anticipating your next sip. Good intensity of aromas, with bright fruit with hints of cherries, spice and a clean hint of earth. Bright berry aromas, hints of spice, and orange peel intermingle to create a round, robust mouthfeel. Sign up and receive special invitations to events and reserve wine allocations. Our wines are poured daily at the tasting room of the http://www.napawineco.com/.